The Book is a natural extension to the journey I set on when I began writing publicly about my Bipolar Disorder affliction and set up this community website. It is indeed gratifying when India’s Holistic Wellness Diva backs you! Thank you Dr.Sonica Krishan. One of the premier Life Coaches in the world, Malti has been supportive right through this journey. Gratitude Malti Bhojwani, for everything. 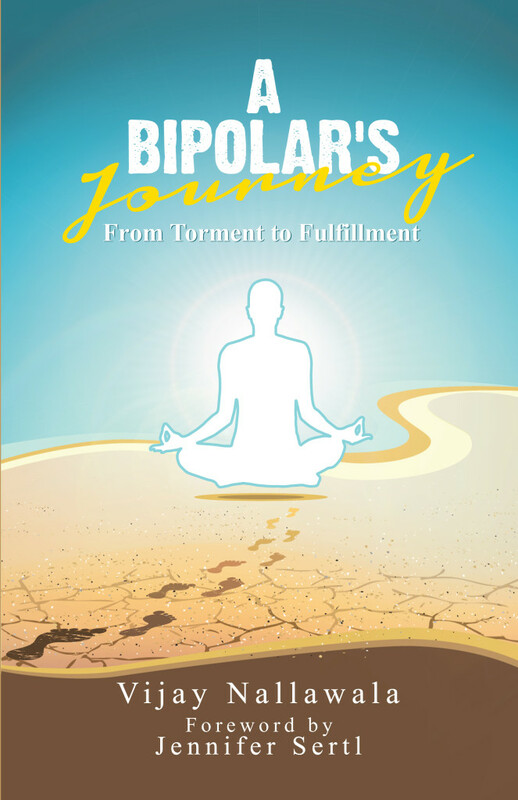 “A Bipolar’s journey is the first book, that I’ve ever read that truly captured the unnoticed tyranny of this illness – As an observation this is a very new kind of concept or subject here in India and I hereby take this opportunity to congratulate the courageous effort by the author to depict the authenticity of his painful events along the journey in form of enlightenment, to so many deserving, to come out of this darkest tunnel. “Overall, it is an inspiration not just for people suffering from Mental illness but otherwise too. The author not only suffered from Mania and Depression but overcame that. The journey that the book covers from the early signs to the treatment of torment and finally achieving fulfillment.. it is a witness how spirituality and science merge to create a fulfilling life. Dealing with the physical battle of asthma and mental illness of bipolar, he chose a holistic approach for his healing and health. In the last section there are inspirational stories of others. The book cover graphically depicts the torment to fulfillment journey and the inside content is even more fascinating. The writing style is very simple to read, print is clean, illustrations interesting and writing very gripping. I personally believe in an inclusive society. This book definitely does its bit for the same along with the website. To explore this Book more, click on this Link or Book image above.